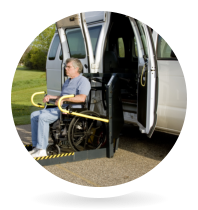 Our staff will keep you accompanied at your home. Our caregivers will maintain a clean and tidy environment. Receive professional assistance from our agency. We will be there whenever you need our help. 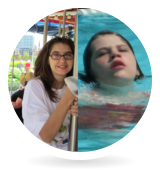 Finding a quality program for individuals with developmental disabilities can be difficult, especially when you don’t know who to trust in acquiring services in your community. 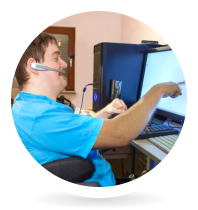 You can rely on Healthy Connections Developmental Disabilities Services in delivering exceptional services that individuals deserve and need. Our agency uses a client-centered approach to address the concerns of our clients and promote healthy living. 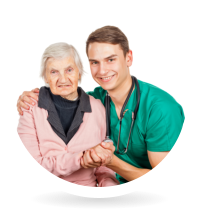 We will assign the most suitable caregiver to our consumer to ensure that your loved one is given the right services suited to his/her condition and that they are fully engaged and enjoying the program activities. 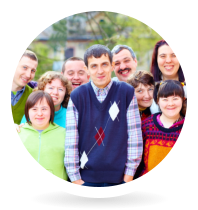 Healthy Connections Developmental Disabilities Services cares deeply for individual safety and welfare. We take all precautionary measures before employing our staff. We would like to have the opportunity to show you why Healthy Connections is an A+ program. Contact us today for an overview of our program at 614-532-8553. What’s New at Healthy Connections? Summer Camp is right around the corner. 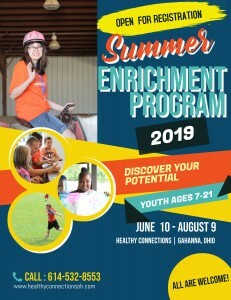 Registration is now open, visit our Summer Enrichment Program page for more details. Deliver the highest quality of care services to achieve the maximum potential for our client’s recovery and wellness right at their home. We take great care of your loved one, so that they can be fully satisfied, and go on with their day without having to experience discomfort and live a meaningful life.